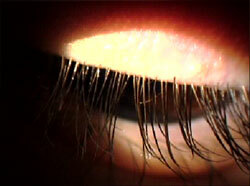 Styes are a bacterial infection of the eyelid, usually resulting from a clogged oil duct next to the eyelash. They present as a painful, bump on the eyelid. They may or may not be red. You may or may not be able to see a "white head" at lid margin. 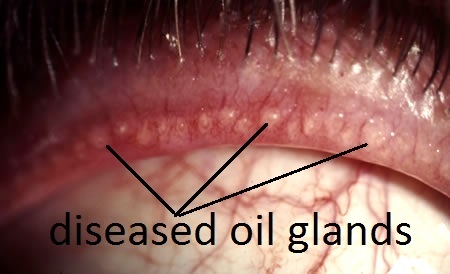 Styes usually occur when the tiny oil glands of the eyelids secrete too much oil and become clogged and infected with bacteria. Styes are not contagious, can appear as if one has “pink eye”, can cause the eyes to feel dry or gritty, can cause intermittent blurred vision, can be caused by Blepharitis and can evolve into a much more serious condition known as Orbital Cellulitis. DO NOT ever try to "pop" the stye. Styes can affect both the upper and lower eyelids. The infection is mild and simply consist of slight tenderness around the lid. Or they can come on rapidly and become extremely painful, red bump on the eyelid. Lukewarm compresses on the eye between 5-10 minutes to loosen up the matter collected around the eyelashes. If the stye is severe and very painful, compresses should be on the cool side. Gently clean the eyelid with a washcloth with a mild baby shampoo (no burning), for 30-45 seconds. Usually, a prescription antibiotic eyedrop is applied 4 times a day for 1 to 2 weeks. An oral antibiotic is prescribed if the stye is severe or persistent. The pain will subside and the lump with became sectioned off by the body's defense system, often taking months for the lump to resolve. Sometimes the bump needs to be surgically removed. an OrbitalCellulits of the right eye. Notice how the swelling goes beyond the eyelid. If you have a tendency to get frequent styes, daily eyelid hygiene should be part of your regular cleaning regimen. It should be practiced along with the medical treatment prescribed by your eye care practitioner to alleviate this often-chronic problem. All below should be done daily, and only take a few minutes. Place either a warm compress on the eye for a minute or two or let the warm shower run on your closed eyes for the same amount of time. Gently rub the margins (edges) of the eyelids using baby shampoo (because it doesn’t sting) with a washcloth or a prepared lid scrub found at your pharmacy (over the counter) for about 30-45 seconds. At the very least you may be able to rub the eyelid margins with just the washcloth. Thoroughly rinse both eyelids with warm tap water and pat dry.